No doubt the 7 Pot Bubblegum (a.k.a. 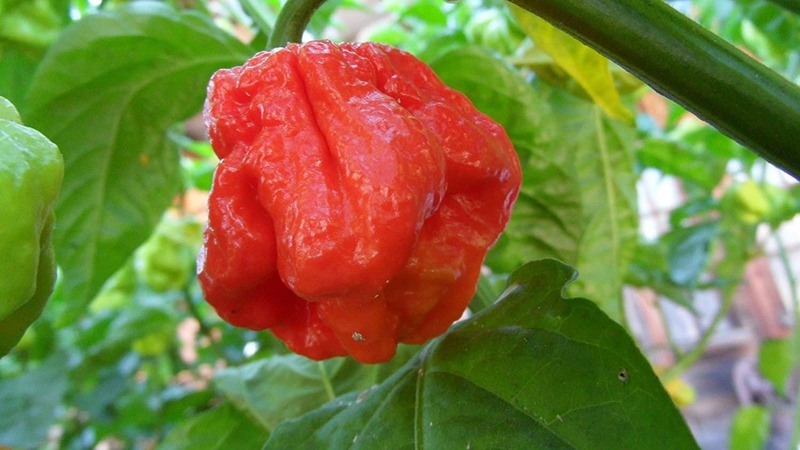 the Bleeding Bubblegum) has a legit heat pedigree – it’s a cross between the wickedly hot 7 Pot Yellow and the even more wicked Trinidad Moruga Scorpion, placing the 7 Pot Bubblegum among the hottest peppers in the world. But it’s not only its fire that gives this super-hot pepper its cult following. It’s also the bleeding of red color that moves from the pepper itself into the cap and stalk of the chili – a unique feature among hot peppers. 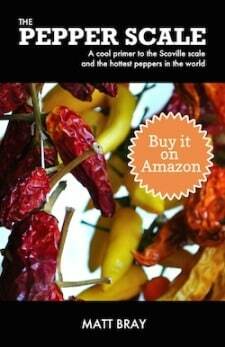 How hot is the 7 Pot Bubblegum? 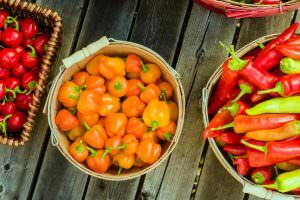 Its heat is comparable to that of a ghost pepper (Bhut Jolokia), ranging from 850,000 to 1,000,000 Scoville heat units (SHU). 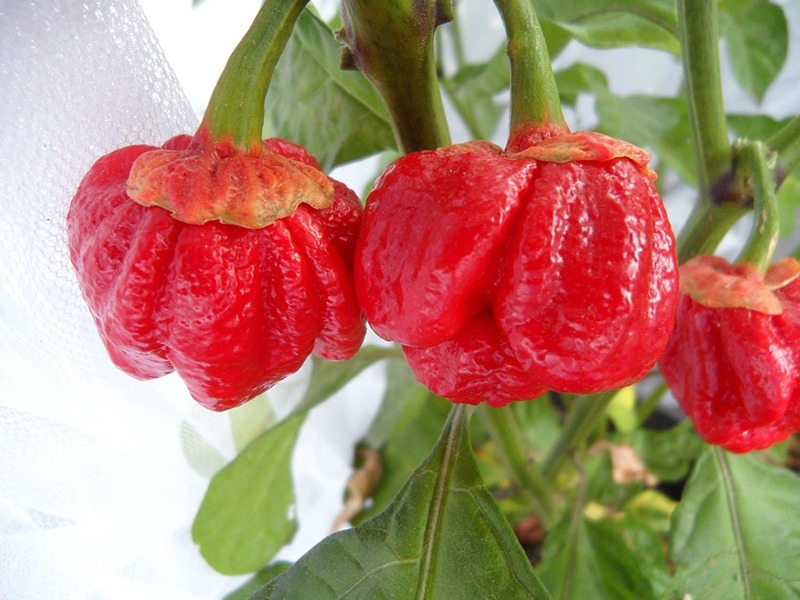 That’s big time heat, though not quite the heights of peppers like the Carolina Reaper (up to 2.2 million SHU) or even the 7 Pot Bubblegum’s hybrid parent – the Moruga Scorpion (up to 2 million SHU). It’s also slightly below the common Trinidad 7 Pot pepper (1.2 million SHU at its peak). Still its a heat not to be taken lightly. Compared to a jalapeño pepper (our reference point), the 7 Pot Bubblegum ranges from 106 to 400 times hotter. This is a level of heat where protection is needed when you’re handling the chili. 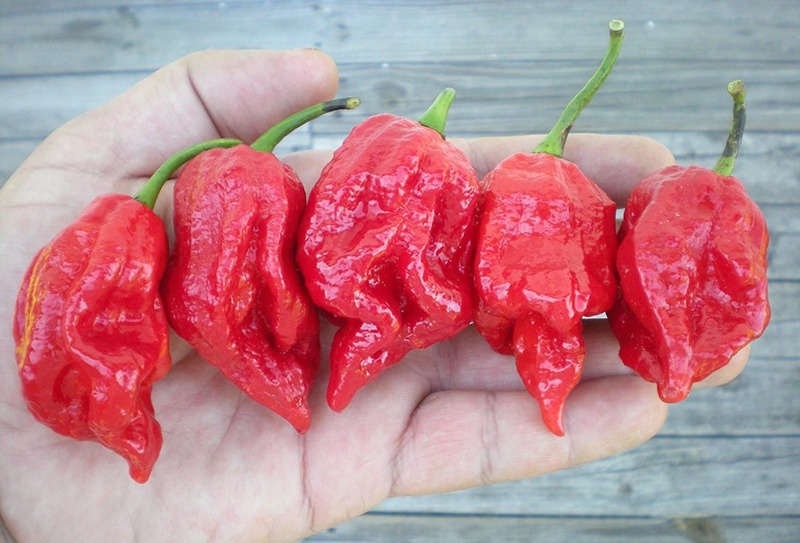 Wear gloves and kitchen goggles, or expect to combat a severe chili burn from the oils of the 7 Pot Bubblegum. Just the handling of the pepper can cause it, so take precaution (and know how to remedy chili burn just in case). What does the 7 Pot Bubblegum look like and taste like? 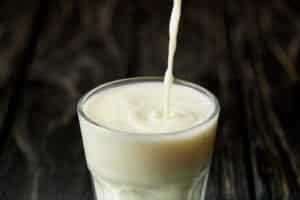 Its look is the key differentiator compared to most everything else on the pepper scale – but not where you may expect. The 7 Pot Bubblegum has a shape between a 7 Pot and scorpion pepper. They grow to approximately 2 inches in length and 1 inch in width. It’s a pod-like bulbous shape, wrinkled and misshaped like other super-hots. They age from green to a bubblegum red, increasing in heat along the way. There are also other varieties, like yellow and chocolate, that age to those corresponding colors. Where it’s unique is in the cap (called the calyx) and the stem. The 7 Pot Bubblegum often (but not always) bleeds its red hue into the calyx and stem as it ages. The calyx almost has the appearance of a piece of chewed bubblegum pressed to hold the chili pod to the stem itself. In terms of flavor, like other super-hots behind the extreme heat is a fruity sweetness – though you’ll be hard-pressed to enjoy it as the heat of the 7 Pot comes on fast. How can you use a 7 Pot Bubblegum? Again like with other 7 Pot peppers (and super-hot chilies), a little goes a very long way. 7 Pot chilies get their name for the fact that one pod can easily provide enough spiciness for 7 pots of soup. 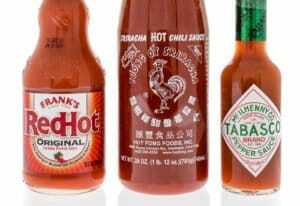 There are also more extreme culinary uses, like scorching hot sauces – though other super-hots (like the ghost pepper) provide similar heat and are much easier to source. Where can you buy 7 Pot Bubblegum? These are not easy to source fresh. The fact is, the 7 Pot Bubblegum is a unique hybrid and not commonly grown for commercial use. If you’re a gardener with extreme tastes (and a flair for the unique), you can buy 7 Pot Bubblegum seeds via Amazon and other online vendors. Or, if you have chili farms near you, call to assess availability. Though other more common 7 Pot peppers will likely have a greater chance of being available. They’ll provide similar flavor and often more heat, but of course without that unique colorful stem.